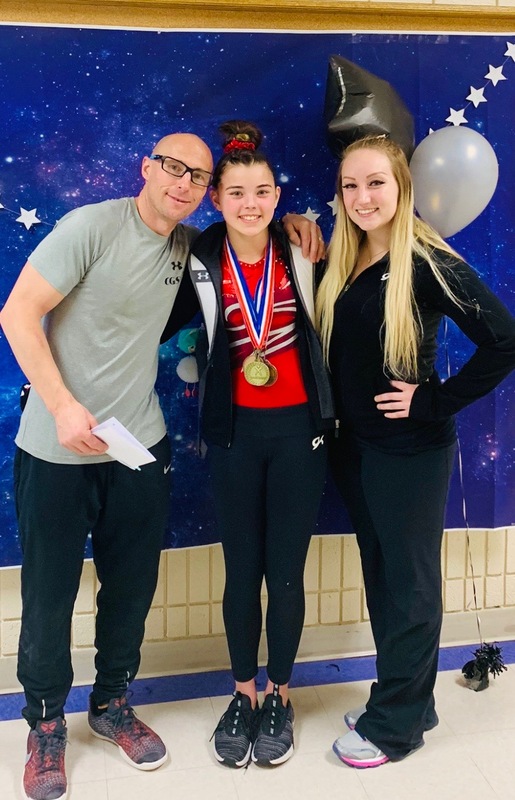 ST. GEORGE — The weekend of March 14-16, one week after the Utah Xcel State Meet at Weber State University of Ogden, another session was held at the same venue for young female gymnasts competing in optional (non-compulsory) routines. Once again, several St. George area athletes made strong individual showings, even though the Southern Utah teams didn’t fare as well as they had the previous week. Afton Callahan from Champion Gymnastics and Jayni Yates from Bare Foot Gymnastics Club were both all-around winners at Level 7 and were selected to represent the Utah state team at regionals. Callahan also won bars and beam in her age group, while Yates won beam and floor in her age group. Also at Level 7, Champion’s Brooklyn Ross won uneven bars, Kendall Legg of Champion took first in floor and Abby Nielson of Bare Foot won vault. At Level 8, Reagan Terry of Champion won floor and all-around. 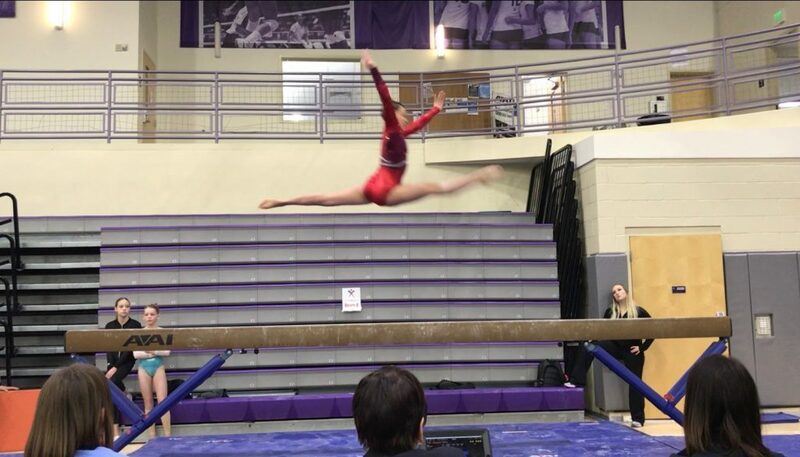 Also at Level 8, Bailey Guymon of Bare Foot won the vault, bars and all-around in her age category. Terry and Guymon both qualified to represent the state team at regionals, which are in Nevada in April. Also at Level 8, Ke’Nia Martin from Champion placed first in both vault and all-around, while Ireland McGiven from Bare Foot was a vault champion and took second in all-around. At Level 9, Jocelyn Wittwer from Bare Foot won the vault, took second in the all-around and is an alternate for the state team. In the Xcel Platinum category, Champion’s Gracie Hyde won the all around for her age group while teammate Stella Turley made the Utah state team. “I thought it was awesome that southern Utah did so well against northern Utah, who usually comes out on top,” said Erika Almandinger of Champion.